It's the fastest two minutes in Fort Thomas! Yes, it's egg hunting season. 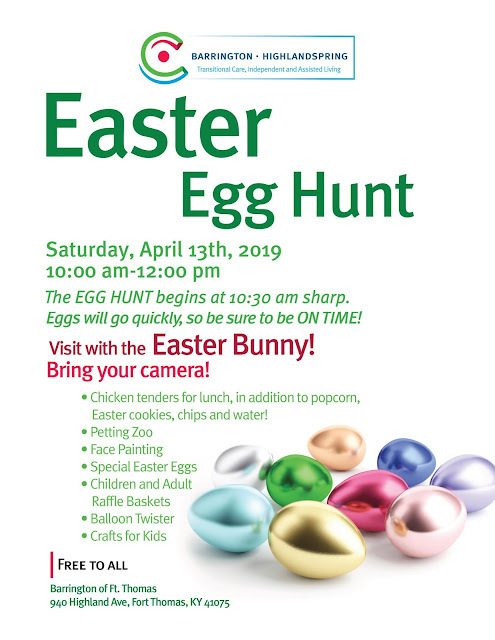 Perhaps the best-kept secret, especially if you prefer a little lower-key outing, is the Easter Egg Hunt located at The Barrington in Fort Thomas. Located at 940 Highland Avenue, The Barrington, owned by Carespring, is nestled next to the Campbell County Public Library and Good Shepherd Pelletier Church. It’s a peaceful location that’s close to so much in the well-established Fort Thomas community. Located in the heart of Fort Thomas. Their community is part of Fort Thomas and their residents love to see the smiling faces of the kids each year, said Kevin Brooks, Director of Community Development at The Barrington. The egg hunt at The Barrington starts at 10:30 a.m. sharp. "The eggs go quickly so be sure to be on time," said Brooks. Also included at no cost is a visit with the Easter Bunny (bring your camera), chicken tenders, popcorn, cookies, chips and water. There is also a petting zoo, face painting, special Easter Eggs, children and adult raffle baskets, a balloon twister and crafts for kids. 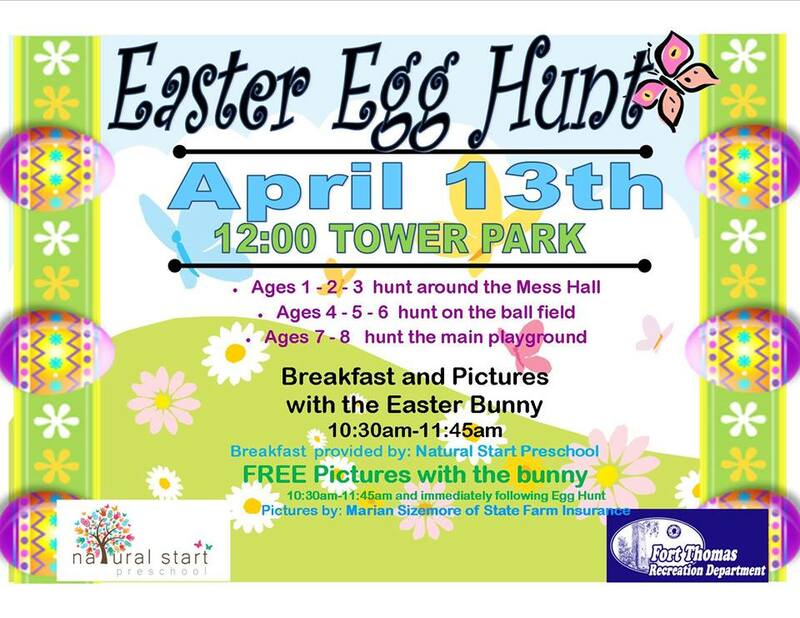 The City of Fort Thomas' Recreation Department is also hosting an egg hunt at historic Tower Park. 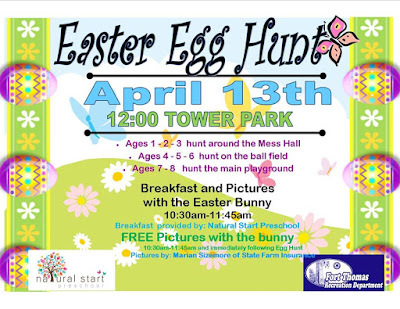 Included is breakfast and pictures with the Easter Bunny (10:30 to 11:45 a.m.). This year, Recreation Director Kat Disney, said that they are trying something new with the prizes in the eggs. Instead of candy in the eggs, each child returning their eggs will get a prize bag.